The law of collective bargaining is one of the most sophisticated and dynamic areas of law in Canada. 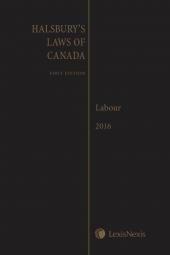 This edition includes relevant updates to case law and statutes throughout; it also has been significantly expanded to include an entire new part of the text, which features 11 new chapters that examine the practical aspects of the collective bargaining process. The law of collective bargaining is one of the most sophisticated and dynamic areas of law in Canada. Every practitioner should have a "go to" text on the framework in this area of the law and the process of collective bargaining, as well as practicalities to consider. 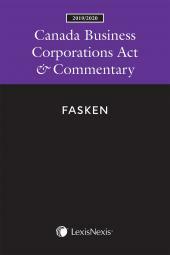 The third edition of this highly regarded resource includes relevant updates to case law and statutes throughout; it also has been significantly expanded to include an entire new part of the text, which features 11 new chapters that examine the practical aspects of the collective bargaining process. Wesley B. Rayner, LL.B., LL.M., of the Ontario Bar, was formerly a law professor and Dean of the Faculty of Law at the University of Western Ontario. He has been an active labour arbitrator since 1970. He has also been a member of the National Academy of Arbitrators and the Ontario Arbitration Association, and served as its president in 1980. In addition, Professor Rayner has served as Chairman of the Board for the Ontario Motor Vehicle Arbitration Plan. Professor Rayner is also a noted writer in the field, including as co-author of Collective Bargaining Law in Canada, 2nd ed. (Butterworths, 1986). James G. Knight, LL.B., is a partner working out of both the Hamilton and Toronto offices of Filion Wakely Thorup Angeletti LLP. Jamie has over 30 years of experience representing management in labour and employment law, including numerous appearances before the courts, arbitration boards, labour relations tribunals, as well as participating in adjudications in human rights, employment standards and health and safety matters. Jamie also has extensive experience in collective bargaining and assisting employers in interacting with trade unions, including defending against union organizing campaigns. Jamie's clients are in various sectors, including manufacturing, entertainment, services, municipalities, health and finance. 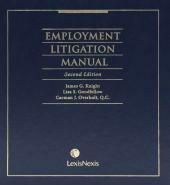 Jamie is the author or co-author of some 20 publications dealing with a wide array of employment and labour law issues. Mike Rayner, B.A. (H), LL.B., O.W.S.I., was called to the Ontario Bar in 1997. He has worked in private practice in Toronto, London and in the public service for sixteen years at the Department of Justice with the Canadian federal government. Since then, he has practiced as a mediator and arbitrator in labour relations in Southwestern Ontario, where he was born and raised. Brian P. MacDonald is a partner working out of the London office of Filion Wakely Thorup Angeletti LLP. Brian received an Honours B.A. in Political Science from the University of Western Ontario in 2006 and received his LL.B. from Dalhousie University in 2009. Brian practices in all areas of labour and employment law and regularly represents clients before the Ontario Labour Relations Board, private arbitrators, the Human Rights Tribunal of Ontario, the WSIB and the WSIAT, and various levels of court. Brian's has represented numerous clients in collective bargaining in various sectors, including manufacturing, trucking, and construction. Chapter 3: Labour Monopoly in an International Market: Cooperation or Conflict?